Tinicum Township, PA is a great place for New Jersey residents to visit in the warmer months. Just a stone’s throw away from Frenchtown – it’s a great little escape from the hustle and bustle of the Garden State. Tinicum Township, PA – wide view perspective. Tinicum Township is a township in Bucks County, Pennsylvania, United States. The population was 3,995 at the 2010 census. The Uhlerstown-Frenchtown Bridge, a free Delaware River Joint Toll Bridge Commission bridge over the Delaware River, connects Uhlerstown to Frenchtown in Hunterdon County, New Jersey. It is located approximately forty miles north of Center City, Philadelphia. This township includes both area codes 215 and 610. The township also has five different zip codes. The Red Hill Church and School, Ridge Valley Rural Historic District, and Lewis Summers Farm are listed on the National Register of Historic Places. According to the United States Census Bureau, the township has a total area of 31.2 square miles (80.8 km²), of which, 30.2 square miles (78.2 km²) of it is land and 1.0 square miles (2.5 km²) of it (3.11%) is water. Tohickon Creek flows along its southern boundary into the Delaware River, which separates the township from New Jersey. Its villages include Erwinna, Ottsville (also in Nockamixon Township), Point Pleasant (also in Plumstead Township), Sundale, Smithtown, Wormansville, Tinicum, Uhlerstown and Upper Black Eddy (also in Bridgeton Township). As of the census of 2000, there were 4,206 people, 1,674 households, and 1,173 families residing in the township. The population density was 139.3 people per square mile (53.8/km²). There were 1,834 housing units at an average density of 60.7/sq mi (23.4/km²). The racial makeup of the township was 97.24% White, 0.76% African American, 0.17% Native American, 0.40% Asian, 0.05% Pacific Islander, 0.50% from other races, and 0.88% from two or more races. Hispanic or Latino of any race were 1.36% of the population. There were 1,674 households, out of which 27.0% had children under the age of 18 living with them, 62.4% were married couples living together, 5.1% had a female householder with no husband present, and 29.9% were non-families. 22.6% of all households were made up of individuals, and 8.2% had someone living alone who was 65 years of age or older. The average household size was 2.49 and the average family size was 2.94. In the township the population was spread out, with 21.0% under the age of 18, 5.2% from 18 to 24, 28.6% from 25 to 44, 31.2% from 45 to 64, and 13.9% who were 65 years of age or older. The median age was 42 years. For every 100 females there were 108.5 males. For every 100 females age 18 and over, there were 104.9 males. The median income for a household in the township was $60,843, and the median income for a family was $66,375. Males had a median income of $44,886 versus $33,333 for females. The per capita income for the township was $34,321. About 0.5% of families and 2.4% of the population were below the poverty line, including none of those under age 18 and 9.5% of those age 65 or over. 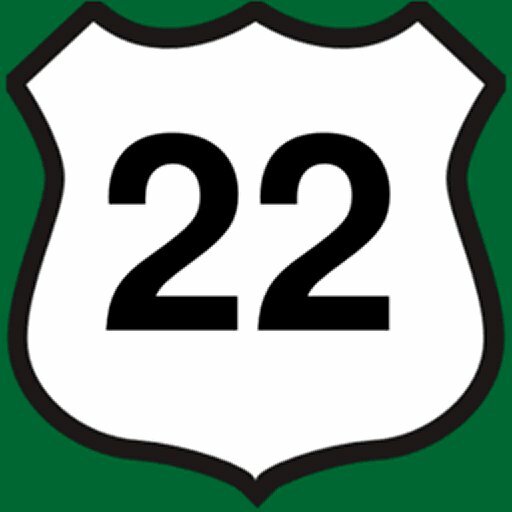 NJroute22 (site admin) is an avid traveler along NJ Route 22 (and almost all of central New Jersey!) Family man, pet lover, and property owner who has a natural curiosity for everything around.